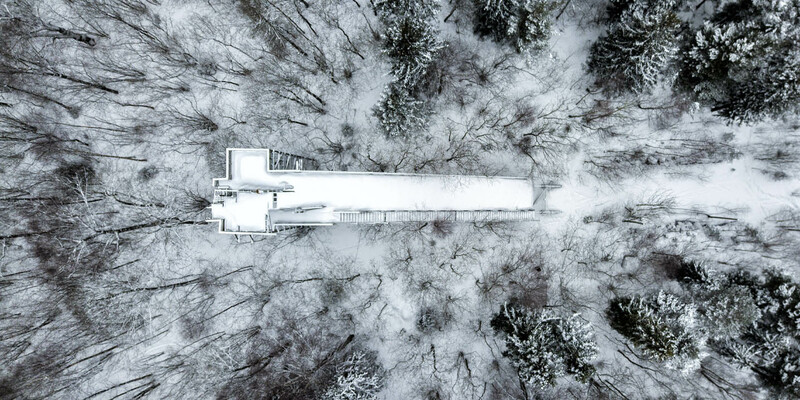 Flying over a derelict old abandoned ski jump taking pictures. Ski jumping has a long history in Norway. We used to have ski jumps (‘hoppbakker’) everywhere and it seemed like that was the only activity kids and youths did. But after a few winters during the 80ties with less snow and that people started converting to other sports, many ski jumps are now abandoned and unused. I took my DJI Mavic Pro drone for a quick photo flight above an abandoned ski jump. It is called Holmenbakken at Holmen in Asker, Norway. Not to be confused with the famous ski jump in Oslo called Holmenkollen (Holmenkollbakken), which is still in operation. There are a couple of ski-jumps next to each other in this area, but I only took pictures of the largest one. I had to walk through lots of snow to get there. I didn’t dare walk up the derelict old tower structure. It looked too dangerous. 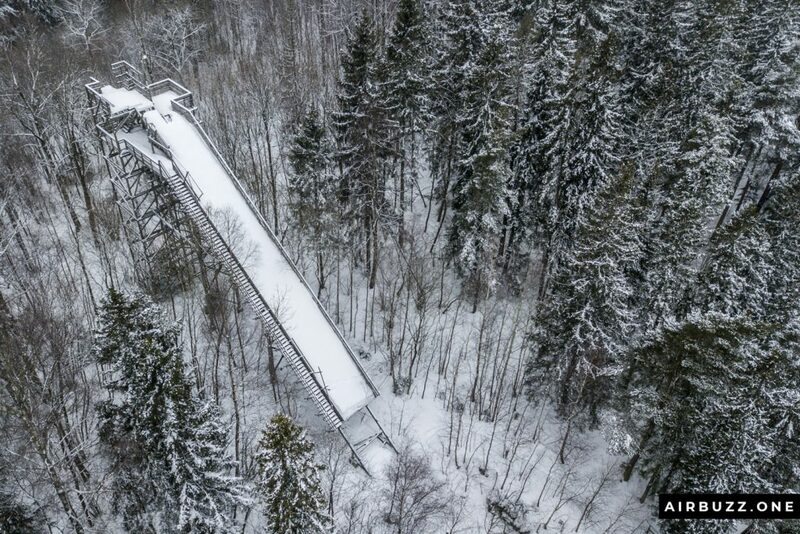 The biggest ski jump was scaffolded in 1954 and athletes could jump over 60m here. It was very popular for both training and competitions but has not been used in recent years. Now it is a forgotten piece of Norwegian sports history. Check out these old pictures if you want from old Norwegian ski jumps in their glory days. 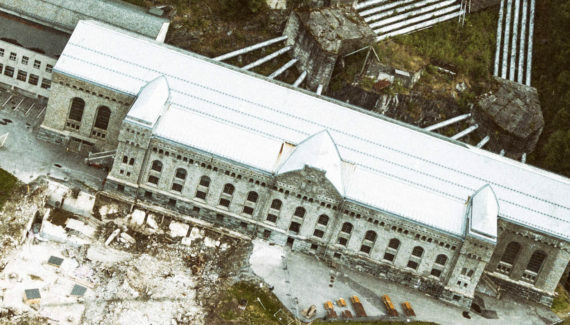 Interesting: 45 Awesome Drone Photos of Abandoned Places! I have uploaded a few pictures below so you can take a look. I appreciate comments on the pictures or the post. 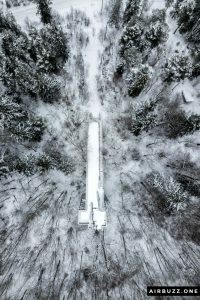 Here is a link to a 360 drone panorama from the ski jump uploaded on my SkyPixel profile. I have not yet managed to embed this type of panorama to my website. Any ideas anyone? 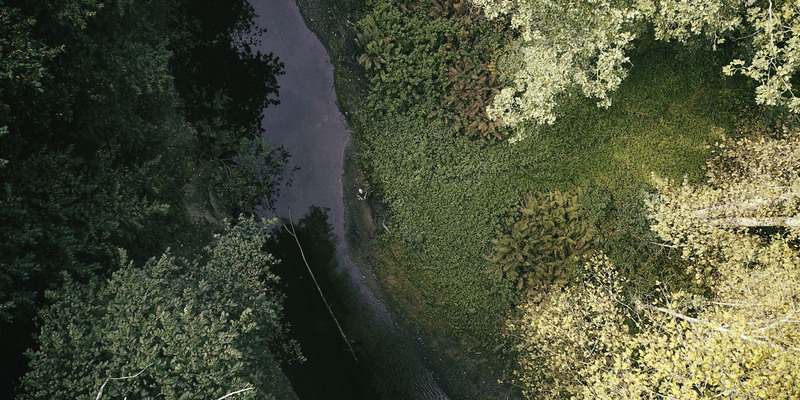 Holmenbakken shot with a drone. Half a meter snow covering the ski jump. 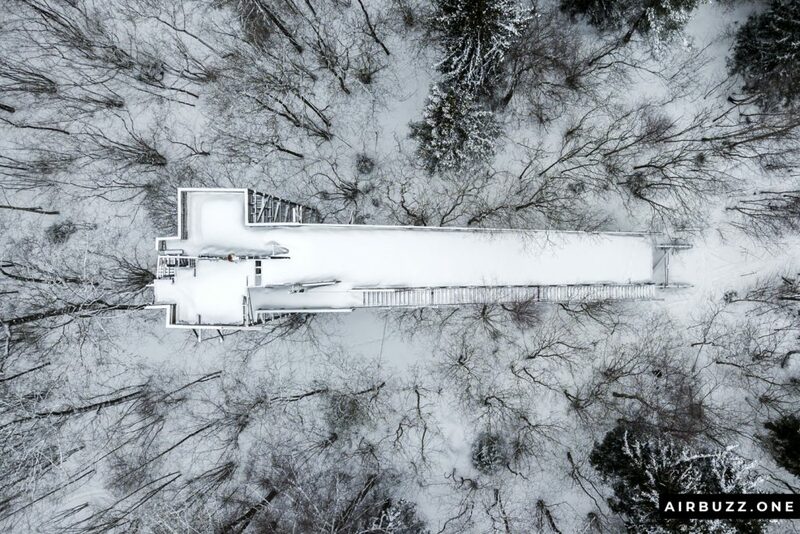 Straight above bird’s eye view of the abandoned ski jump. 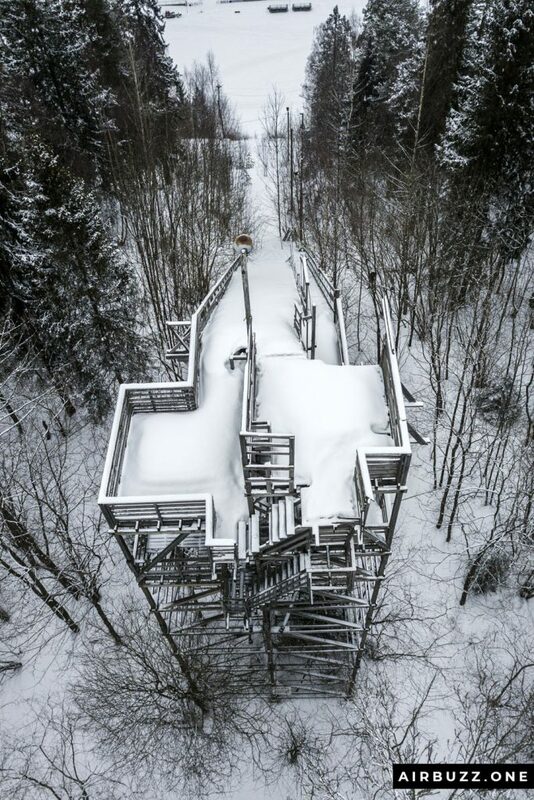 Would you dare to jump with skis here? Hey AndreaS, nice post. Thanks for providing that interesting information about the various types of ski jumps; I had no idea that there were so many. Incidentally, I always thought there were only one kind and I have to ask, do the slopes in the pictures classify as ski jumps or are you talking about the art itself like going down a slope then jumping off that way? Those slopes look long and scary, I think I’d be scared to death to go down them but I think I still would just to challenge myself; excellent job with the pics. Hi i really like your this site. 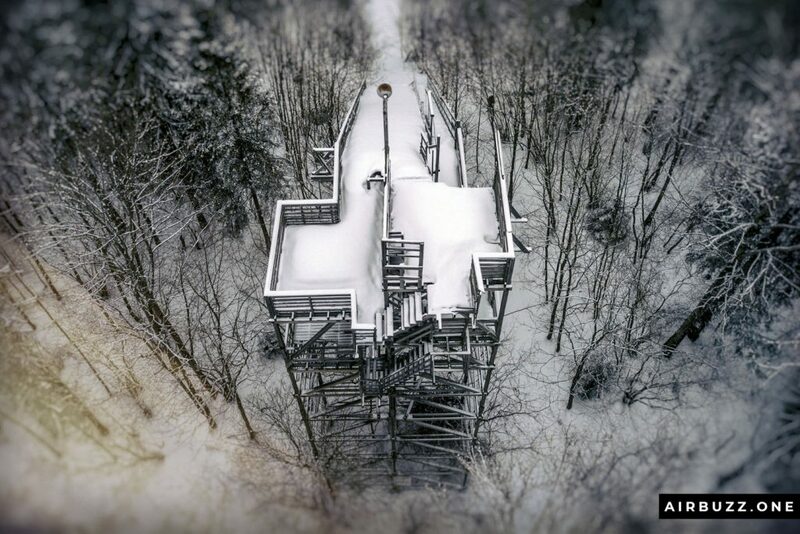 the Abandoned ski jump images are very cool looking. The airbuzz one drone takes awesome pictures. The website is well done and easy to navigate. Drones are very popular now and looks like you got this niche down. good job. I really have to get myself a drone for photography and videos, being able to capture things from an aerial perspective. 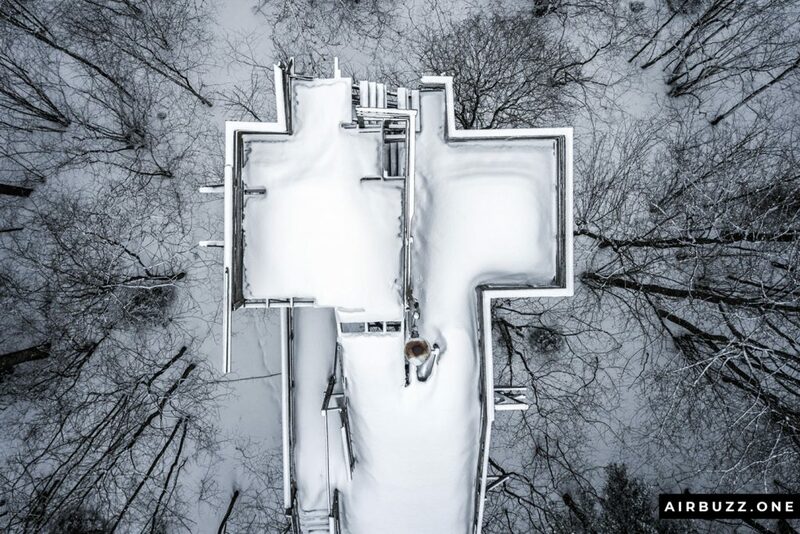 Love the photo of the abandoned ski jump. man, that thing looks so steep. So this is from way back in 1954. The pics are awesome. The colourless, gloomy, showy scene adds an air of mystique and a little creepiness to the shots. You’ve really captured the ski jump well, and also the mood.